– Pathfinder Angus and Chiltern Park Angus purchased the stand out Intensity son L123 for $26,000. – Toptani purchased a good growth and positive calving ease H16 son L128 for $13,000 (second top price). – Ian Laurie purchased a good J62 homebred bull L294 for $13,000. – Trevor Henwood purchased eight bulls for an average price of $8,600. 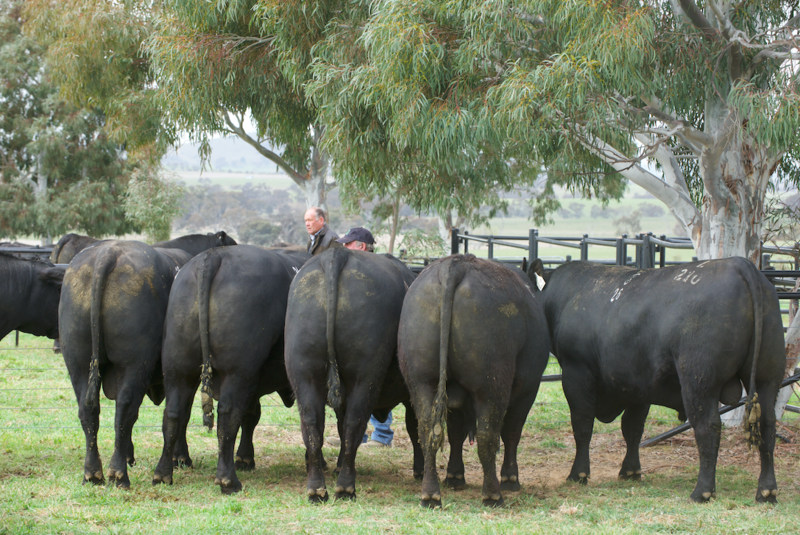 – Brad Nicholas purchased 11 bulls for his four corporate properties in Braidwood. – Craig Lindsay purchased four bulls averaging $10,000, following the six bulls he bought at our 2016 sale. 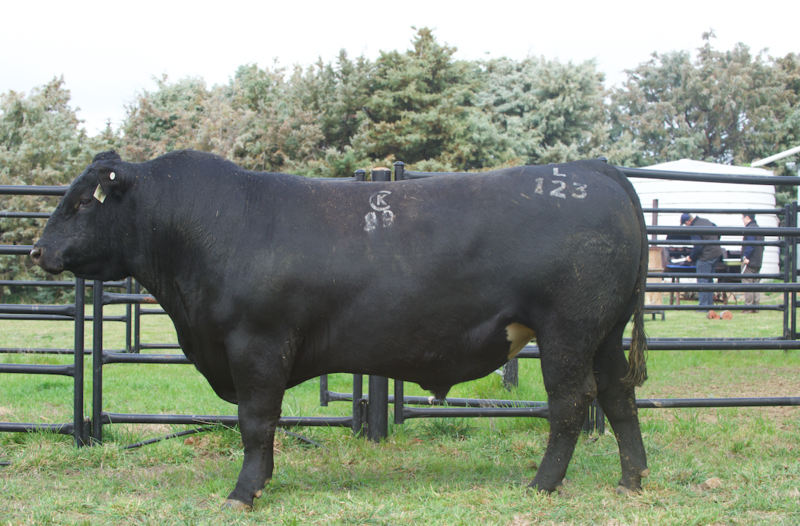 – James Henwood purchased three bulls with an average of $10,100 and a top price of $12,000 for L100, another H16 son. – Nick Harton, Jim Hindmarsh Co, played a big role in the sale and secured 12 bulls for his clients. – Luke Whitty, Kevin Miller, Whitty and Lennon, purchased 4 bulls on behalf of Redcliffs. 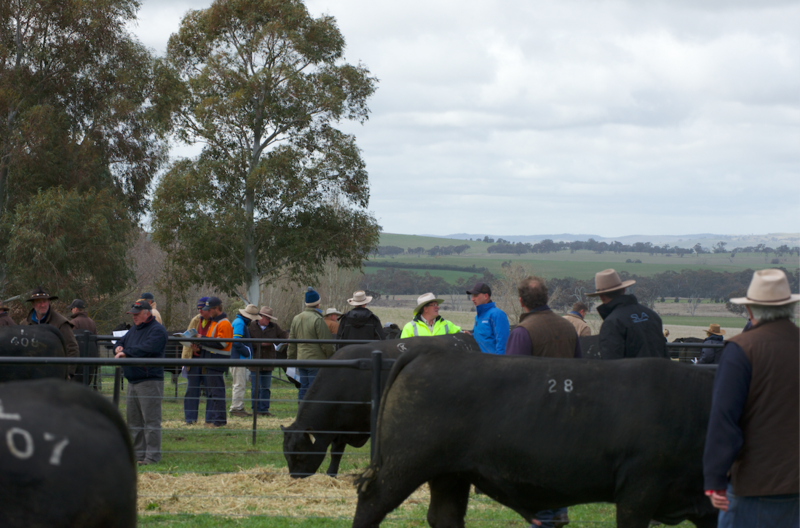 – Sam Hunter, Agstock Gundagai, purchased 3 bulls on behalf of Tom Gunthorpe, Mount Buffalo Cattle Co.
– A big thank you to Landmark for conducting the sale and to Andrew Wishart and Tim Woodham for auctioneering.